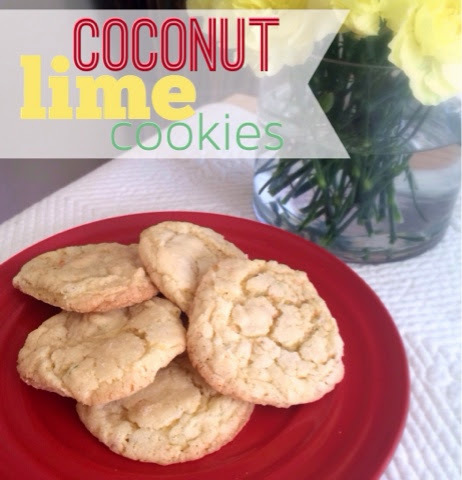 If you are looking for a tasty treat, you MUST try these coconut-lime cookies - they're seriously fabulous! You know how most people like a glass of milk with their chocolate-chip cookies? Well these cookies beg to accompanied by a margarita (not to dip the cookies in - that would be weird, but to drink in addition to). 1. In a small bowl, stir together flour, baking soda, baking powder and salt. Set aside. 2. 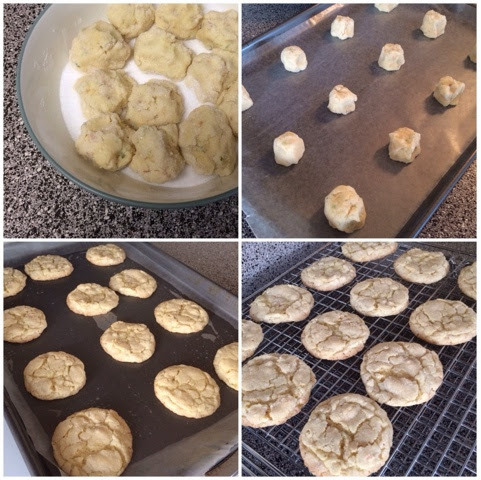 Using a mixer, beat together the butter and sugar until smooth and very fluffy. 3. Beat in egg, vanilla extract, lime juice and lime zest. 4. Gradually blend in the dry ingredients and coconut (toast before adding). 5. Roll rounded teaspoonfuls of dough into balls, and roll in sugar. 6. Place on lined cookie sheets about 1 1/2 inches apart. 7. Bake for 9-11 minutes at 350 degrees. Enjoy, but be careful - these bad boys are addicting!! Love the lime!!! This would be great to bring to a BBQ! Yum, sign me up for these cookies (and the margarita on the side too!). So glad that spring is finally here! These sound so good and different! Going onto my todo list! coconut and lime, can't say i've ever tried that combo of flavors - sounds delish! Yum!! I'm loving all of the recipe on your blog lately...now I just need to find time to try them all! haha! 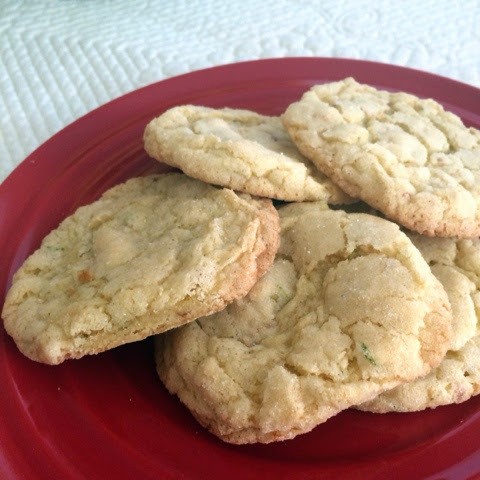 Oh, I can just imagine it now- Margarita in hand and these cookies! The best! These sound so DELISH! Can't wait to try! Lily and I have been drinking your green juice you posted last week (or maybe the week before) everyday this week! Love it! Thanks for sharing. Those look delicious! Just pinned it so I can get the ingredients and try this out. I'm not a huge coconut fan but those look delicious and I know plenty of people I could make them for. Wanna come to my place and make me some? lol. oh man, bloglovin randomly unfollowed your blog! I just so happened to think I haven't seen anything pop up from you in a while, and typed in your address thinking maybe you were taking a relaxing week. Then I see all sorts of missed things. That makes me a little nervous, I don't want to have other blogs unfollow esp ones I won't actively remember. Ugh, anyway, I'm back! I bet the coconut is good with the lime, I don't normally like lime by itself but I think with a coconut tone too it would be pretty tasty!